Lori brings a wealth of communications knowledge and operational guidance to the clients she serves. Over the years, she has spearheaded numerous complex marketing, advertising and public relations initiatives; led content creation and messaging integration across various media platforms; provided strategic communications counsel; and managed SEO, SEM, social media and digital campaigns. 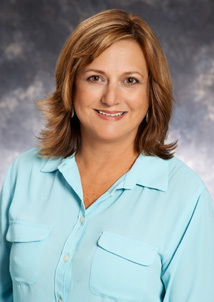 Throughout her career, Lori has worked at several advertising and public relations firms. Her management style ensures the timely completion and successful execution of various communications initiatives. From nonprofits and higher education institutions to technology and gaming companies, Lori has worked with clients across a broad spectrum of industries – but always with a special focus on health care. Prior to joining Thomas/Boyd, Lori served as the marketing and communications director at St. Mary Medical Center, where she led the push to rebrand to “St. Mary Health” and was responsible for all media issues and announcements; the execution of new SEO and social media campaigns; and various high-level projects (i.e. health insurance/Medicaid sign-ups, new ACO). Lori also served as the director of client services at the Marathon Group – the in-house agency of Barnabas Health, the largest health system in New Jersey – where she managed day-to-day operations and the planning/execution of numerous projects. Lori received a Bachelor of Arts degree in English and political science from University of Delaware and a master’s degree in journalism from Temple University. She is a Certified Professional Coach (CPC), working with clients to optimize success and satisfaction and helping them reach their highest potential.